Fritz Maytag re-launched Anchor Brewing Co. in 1965. On Oct. 29, the Smithsonian’s National Museum of American History hosted a talk and a dinner to honor the contributions of some of the earliest makers of fine wine in the United States. It was also part of the museum’s American Food and Wine History Project, which has been curating artifacts, oral histories and documents about the history of U.S. wine and winemaking. Distinguished guests on Oct. 29 included Warren Winiarski, the winemaker who crafted the Cabernet Sauvignon that famously won the red wine half of a blind-tasting in Paris in 1976, and Fred Frank, the grandson of the late Konstantin Frank, a Ukrainian immigrant who proved that delicate, European varieties of grapes could thrive in harsher climates (in Frank’s case, New York’s Finger Lakes region). All the honorees could trace the reason for their presence at the Smithsonian back to the early and mid-1960s, that period when American wine fine began to slowly—then quickly—emerge from France’s shadow and stake its critical, as well as commercial, claim upon the world stage. The September 1966 launch of the Robert Mondavi Winery, Napa Valley’s first ground-up winery since Prohibition, is generally credited with birthing modern fine wine in the United States. Curiously, a full year before, Fritz Maytag’s re-launch of the Anchor Brewing Co. in nearby San Francisco birthed modern beer and brewing in the United States. Not that the Smithsonian appears to have noticed. Yes, in roughly 10 months, August 2015, it will have been a full half-century since Maytag famously saved Anchor from closing. 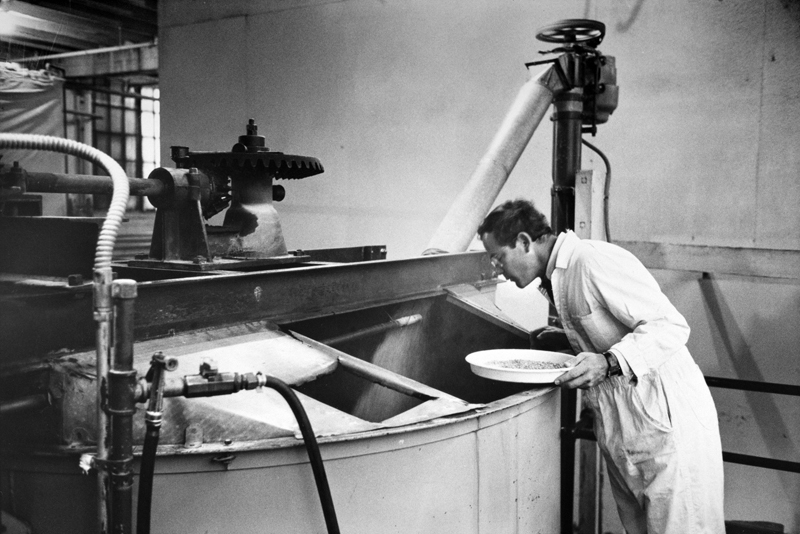 Maytag’s move not only spawned what came to be called micro or craft brewing, but myriad reactions and counter-reactions from larger brewers as well, including distribution and tax battles; the beer-food pairing trend; the craft vs. crafty debate; beer on social media; beer in print; beer as an economic development engine; the modern homebrewing movement; the modern brewpub; breweries as architectural statements and gentrification canaries; all the reborn and reinterpreted styles, including the multiple personalities of the IPA; the rise in the number of U.S. breweries to its highest level ever; more hops farming; more beer festivals, including the biggest beer-tasting festival in the world—basically every trend and event in American beer in the last 50 years, with perhaps the exception of light beer, can be traced to Maytag’s Anchor rescue. Yet nothing seems to be planned, either inside the industry or out, to mark the golden anniversary. Modern American wine has already begun to celebrate its 50th birthday nearly two years before the Robert Mondavi Winery itself turns 50, with the industry teaming with organizations such as the Smithsonian to mark its rocketing ascent since the 1960s. Now, it is fine wine, which, rightly or wrongly, for better or worse, has always cast a spell upon consumers and critics in a way beer, however fine itself, can never hope to match (at least not yet). It would just be nice, and fitting, if American beer, which in the same two score and 10 years has scaled similarly incredible heights, received the same pomp and circumstance. Your move, Smithsonian. Tom Acitelli is the author of The Audacity of Hops: The History of America’s Craft Beer Revolution. Reach him on Twitter @tomacitelli. Thanks so much for pointing out this glaring omission. All the more interesting, given that (1) the Smithsonian’s stated vision is “shaping the future by preserving our heritage…”, and (2) the U.S. is arguably more of a pioneer in the world of beer than in the world of wine, wouldn’t you say?